addition, a growing number of young "localists", who care for democracy in Hong Kong, refuse to participate, considering the vigil ineffective. In reality there were many young people and students at the vigil, as well as entire families. Many Protestant and Catholic Christians were also present. As per tradition, they held a moment of prayer for the "martyrs" of Tiananmen in an area adjacent to the park, just before the vigil. Their prayer was led by Card. Joseph Zen, bishop emeritus of Hong Kong. lawyer Wang Quanzhang, and that of Di Mengqi, one of Tiananmen's mothers. my eyes in my grave ". forced to take a vacation in the company of members of the public security. 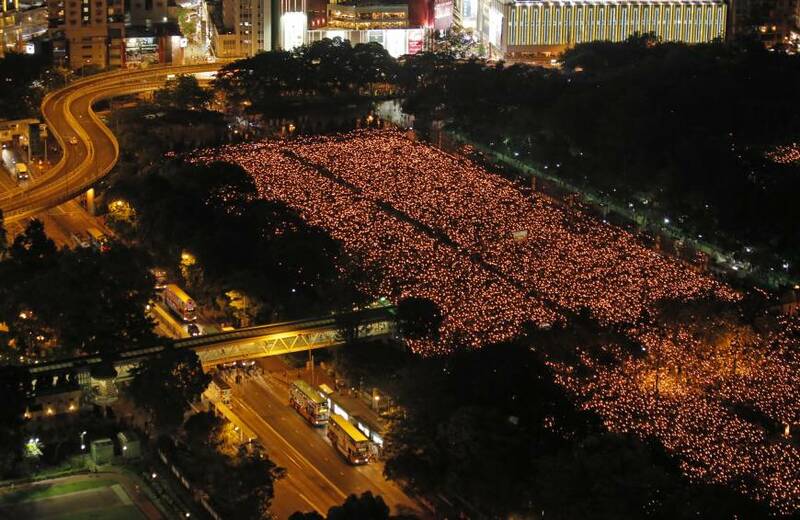 to thank the people of Hong Kong for supporting the murdered of Tiananmen. a case of suspected suicide. vigil at Victoria Park in Hong Kong ... and we have seen that this moral support has continued for 29 years ... It is something that the people of Hong Kong should be proud of ".